« Was a Pitcher Once the Winning Pitcher and Losing Pitcher…in the Same Game?! BASKETBALL URBAN LEGEND: Hall of Famer Kareem Abdul-Jabbar lost millions of dollars building specialized hotels for tall people. In 2003, the rock band Pearl Jam released Lost Dogs, a compilation album consisting of notable B-Sides, unreleased songs and other rare material from the band over their then decade-plus career. One of the highlights of the album was the extensive liner notes where the band went into detail on each song on the album. Pearl Jam bassist Jeff Ament explained the history behind the unreleased song, “Sweet Lew,” one of the few Pearl Jam songs where Ament sang lead. As Ament explains it, he met Kareem Abdul-Jabbar in 1994 at a charity basketball game (Ament was on Abdul-Jabbar’s team) and while Ament was looking forward to meeting his boyhood idol, he was disappointed when he felt that Abdul-Jabbar essentially ignored him. Like pretty much every professional athlete that ever was, Hall of Fame Center Kareem Abdul-Jabbar (who has the record for the most total points scored in NBA history to go along with his record six regular season MVP Awards and his six NBA championships) wanted to invest his salary so that he could live comfortably on his earnings well after his playing career finished. When Abdul-Jabbar converted to Islam, his spiritual adviser, Hamaas Abdul-Khaalis, picked out Abdul-Jabbar’s business manager – a Wall Street lawyer named Bob Owen. Owen was a conservative investor and while he did not make huge profits for Abdul-Jabbar, he did not lose any of Abdul-Jabbar’s money. 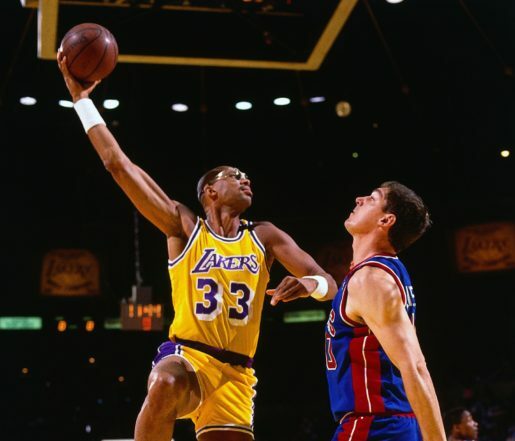 However, Owen died in 1980, leaving Abdul-Jabbar without a financial adviser. Eventually, he signed on with Thomas M. Collins, who Abdul-Jabbar had met in the mid-70s at a tennis club. Collins was still fairly new at being an agent, but he had as clients Abdul-Jabbar’s teammate, guard Lucius Allen and Abdul-Jabbar’s general manager, Laker GM Bill Sharman, so Collins seemed as good of a bet as anyone. In 1980, Abdul-Jabbar signed with Collins, giving Collins tremendous freedom with how to spend Abdul-Jabbar’s money. During the early 1980s, Collins formed an investment group called All-Pro Enterprises Inc. with Abdul-Jabbar the most famous name involved, but also including such famous NBA Players as Ralph Sampson, Terry Cummings and Alex English (among others). The group spent most of its money on real estate. They bought the Balboa Inn in Los Angeles for $4.2 million, the Inn of Laguna in Los Angeles for $4 million, the Belmont Hotel in Birmingham, Alabama (I am unsure how much it cost), a $1.4 million Newport Beach restaurant and a $22 million Los Angeles health club. Here, by the way, is where the “building hotels for tall people” came into being. Presumably as part of the deal when they purchased the Balboa Inn (but possibly it was something done even before the group bought the hotel), one of the suites in the hotel was built especially for Kareem Abdul-Jabbar, complete with nine-foot high doors. Other investments of the group included a brand-new kind of exercise equipment called the Heavyrope (essentially a weighted jump rope), plus Abdul-Jabbar formed his own jazz music label called Skyline Records. The problem throughout this process was that Abdul-Jabbar was not being kept informed by Collins as to how much Collins was spending and what Collins was doing with the money. In an interview in 1985, Abdul-Jabbar even reflected on the high number of professional athletes who had been taken advantage of by their financial managers, stating, “[I]n the end, you’ve gotta trust someone.” However, in the same interview, he also noted that, “Not only am I paying a lot closer attention to my finances, but I’ve tried to assume a lot more control over investment decisions.” This brought great conflict in early 1986 when Abdul-Jabber lost all faith in Collins the more that he examined what was going on with the investments. In January of 1986, after an independent audit, Abdul-Jabbar was shocked to see what Collins was doing with his money. For instance, Abdul-Jabbar unknowingly had lent Sampson $575,000. As part of the various investments, any of the primary investors would be on the hook for a deal gone wrong. Abdul-Jabbar felt that he would be the one everyone would look to when the deals went bad, since he was the most famous of the group. When he made it clear that he wanted out, all the deals did, indeed, fall apart. English famously sued Abdul-Jabbar, serving him in the Lakers’ locker room. Abdul-Jabbar counter-sued, with English being served while on the Denver bench. Collins (and the other players, also) felt that the deals were sound but that Abdul-Jabbar ruined them by panicking. Whatever the case may have been, Abdul-Jabbar sued Collins (and Collins’ associates) for the $9 million he had lost plus additional damages (his full total sought in the suit was $50 million). The suit settled in late 1989. The terms of the deal were sealed, but it seems pretty clear that at the very least that Abdul-Jabbar got all of his investments back. Abdul-Jabbar: I was very fortunate that I got my money back, but in the process between when people found out that something had gone wrong and when I got my money back, there was a non disclosure agreement, so I couldn’t talk about it. So everybody thought I lost all my money. Sporting News: That’s the way a lot of people remember it — that you were ruined financially. Abdul-Jabbar: And that didn’t happen. Thanks to Bruce Horovitz of the Los Angeles Times for his coverage of the situation when it originally went down, thanks to John Papanek for the great Sports Illustrated article on the subject and finally, thanks to Steve Greenberg of the Sporting News and Kareem Abdul-Jabber himself for the informative interview. This entry was posted on Saturday, January 5th, 2019 at 7:09 am	and is filed under Basketball Urban Legends. You can follow any responses to this entry through the RSS 2.0 feed. You can leave a response, or trackback from your own site. Kareem’s old name is spelled Lou. I liked the article.